Want to know what NLP is? 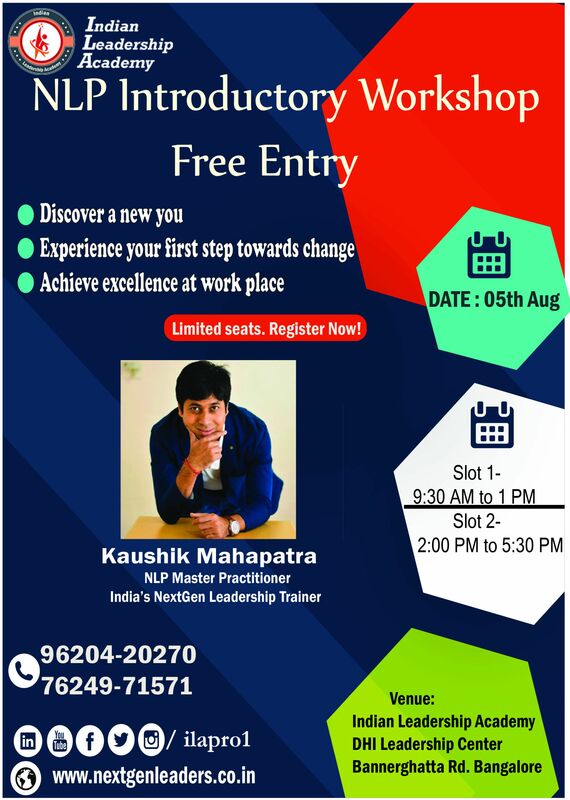 NLP, or neuro-linguistic programming, is a set of psychological techniques which helps in your Professional and Personal development. Its been very popular since last 50 years and is picking up big time. Warren Buffet, Bill Clinton, Barack Obama, Oprah Winfrey, Andre Agassi and many more have turned to NLP to achieve inspirational results. You can use NLP in your Corporate world to be a more effective team member, an effective team leader or a manager. Ultimately these techniques help you to grow rapidly in your organization. Share it with your friends and family who would benefit from this!